Now we all know that it’s rude to text at the table during mealtimes, we also know that it is equally rude to be be on the phone with someone at the counter whilst the person serving you waits to serve you. Logic also dictates that it is also just as rude to be texting at the counter whilst someone serves you. Who remembers Keith? No? Keith is one of those customers I wrote about in a previous entry, the one that carries the arrogance reeking of “I’m the most important customer in the room”. Very recently he has taken to playing the role of the silent customer; he comes in and begins texting on his phone. I come out and say hello, and without looking up he nods acknowledging my assistance. A normal person in this situation would put their phone away and begin their order. But not Keith, oh no, Keith as it happens is way too good to do what normal people do, so instead he carries on texting, leaving me hanging. It turns out that he wants a large special fried rice, and the only reason I know this is that my mum had to shout out the order from outside. I then told him how much his order cost, he nodded again, and then left without paying. Apparently Keith assumes that he is too good to pay for things straight away, so he returns to his car and then pay 20 minutes later still on his phone. On one occasion he was waiting in his car and didn’t come in for quite a while, so we had to switch the lights off to get his attention. As I said, nothing is too good for Keith. If I learnt anything about life it is to lower my expectations, the logic being that when something good happens – say a 10% discount on my next purchase, a free bag of Haribo sours or even a free bag of prawn crackers – then I appreciate it a lot more than I would’ve done had I gone in with really high expectations. Or to put it in another way, I never expect shops to give me freebies when I go in. When I do get them then it’s a pleasant surprise, and that’s often the best kind of customer. The worst kind of customer you can get in a Chinese takeaway of course are the people who always expect free things. It’s sometimes quite amusing to see grown-ups act like children when they don’t get free prawn crackers, and on some occasions they do throw tantrums in the shop, which at first can be awkward to watch, but you have to admit is also quite funny. The other night someone came in, male, old, very skinny, and a tattoo on his neck that was partly obscured by his shoulder-length sandy blond hair. He looked like a new customer. He ordered three dishes amounting to about £10 and looked startled when I came out without a bag of prawn crackers. I was half expecting him to behave like the kid and/or the mum in the Vicks advert at one point. Me hardly ever being the one to answer back to customers simply replied: “Fine”. 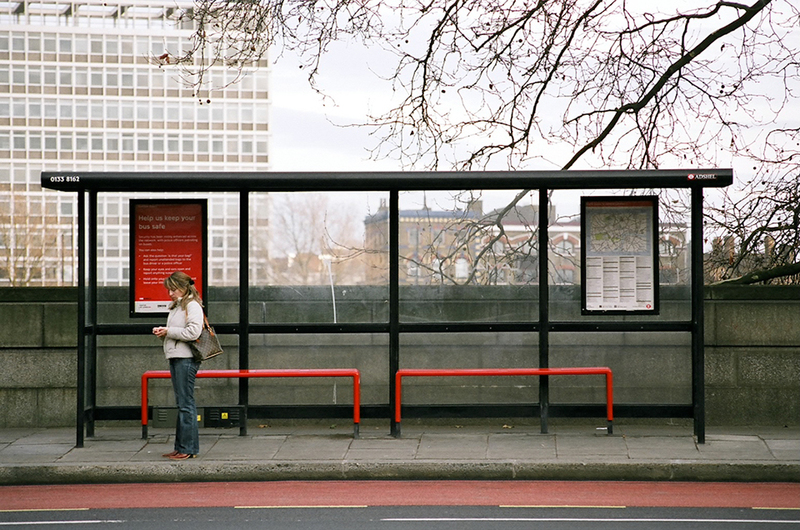 Teenagers are very confused people, so confused in fact that they often mistake our takeaway for a bus stop. At times I feel quite sorry for them because it normally takes them up to 15 minutes to realise that that room with the chairs they’re been waiting in all this time isn’t actually a bus shelter and that a bus hasn’t stopped outside once to take them home. Like most places my takeaway quite conveniently has a bus stop outside, something of a lifesaver during my schooldays when I had to take the bus to work after school. However there is case of it being a bad thing in that people begin to treat the waiting area in the takeaway as an unofficial bus shelter, and the people who quite often abuse this “privilege” are large groups of teenagers. They’ll come in here, check themselves out in the mirror making sure that the fake tan is in tact and that they remembered to put enough hairspray in that valley of dead ends caused by more than regular use of a hair straightener, are their trousers low enough. They’ll come and grab a menu and say “oh I haven’t decided what I want yet” and sit down and “read” the menu whilst their cohort of friends (I believe nowadays you’re meant to call it a “mandem”, the word in itself makes me laugh because I immediately think of tandem, and if you don’t know what that is). (Seriously, I wanted an excuse to just put that video in a post). Teenagers are funny creatures, we were all teenagers once of course, but as you get older you look at them making fools of themselves, thinking that they own the world and that they’ve somehow outsmarted you. It’s like how I sometimes laugh at “gap yah” kids despite the fact that at one time I went on a similar gap yah-esque type trip and was probably a bit like them. But anyway back to the takeaway. At this point I’m sneering at contempt at these teenagers thinking they’re clever and that I don’t know. I got out and ask them “are you going to order anything?”, at which point they go “I haven’t decided what I want yet” pffft. Of course I know you’re not going to order anything. I’ve seen teenagers like you around. You always come in here at 10pm at night with that swagger of a rebel, grab a menu and gaze mindlessly at the contents pretending to decide what you want, oblivious to the fact that I’ve seen many people like you, I know that all you’re doing is waiting for a bus. You look a bit lost love, you’re not going to get home waiting in here. If you go out and turn left around the corner, there’s the bus stop, can’t miss it because there is a big shelter and a sign that says “bus stop”. That will get you home, sitting here pretending to order something is not going to get you home, you might even miss the last bus if you hang around long enough. Now under exceptional circumstances i.e. if it’s raining heavily, then that’s a fair enough reason to double up as a makeshift bus shelter. But what often really irks me is the amount of disrespect that they often show to the owners of the shop and the property. They just sit there, sometimes they scare other customers from coming in or they make customers feel uncomfortable because there are so many of them, they block the door, they litter the area, they move the chairs around, they argue, they don’t close the door when they leave and then they continue to hang around outside the shop for a considerable amount of time and don’t leave for another 10 minutes. One, it was around nine o’clock at night and surely most boys at 11 would prefer to go home and watch some TV (or maybe I’m just being old fashioned). Two, it was possible that with all those menus that I could’ve given to them they were probably just going to litter the streets with them. And three they probably wanted to make a prank call because they weren’t actually asking for that many (they were asking for 10 menus and clearly they have not explored the local area enough to know that 10 menus is not enough to cater for the number of houses within walking distance). How is this relevant? Well the other night someone came in. He had something about him that looked familiar but I couldn’t quite put my finger on it. I assumed maybe he just wanted a can of coke or diet or 7up, or maybe he just wanted change for a £20 counterfeit note and didn’t actually want to order any food. He got out his phone (a Samsung S3) and said he needed some help. He said his phone is in Chinese and he wants to change the language settings back into English. Erm, excuse me? No you can’t leave your phone here, we’re a takeaway not a mobile phone depot. My mum came out politely said we couldn’t help him and he left and said he would come back. So a guy comes in with a Samsung S3 with a low battery, he won’t disclose where he bought the phone and it just suddenly decided to set itself into Chinese. The guy then asks if he can leave the phone with you and he will come back with a phone charger. Suspicious? Very. What if the phone had one of those ingenious apps that takes a picture of anyone who tries to unlock it and send it to the police? Your first inclination is to think that the phone is clearly stolen. After he left my mum said that she recognised him. Last year one of our customers was arrested and jailed for bribery, it was quite a big local story and was even covered by BBC London. I remember the last time I served him, he swaggered up to the takeaway in the middle of the night with his Ferrari. The fact that he even owned a Ferrari made you raise your eyebrows a little, they’re not exactly a regular sighting, in Kensington and Chelsea yes but not East London of all places. The guy who just came into the shop? He was the brother of that person who was jailed. Of course it would be silly to paint everyone under the same brush and automatically assume that by virtue of being related to someone who was jailed. Maybe he was after all completely innocent and did just buy the phone off someone and it did automatically set itself to Chinese. Did he come back with a phone charger? Of course he didn’t. Now this week you may have heard of the brilliant news that Sir Winston Churchill will replace Emily Fry as the new face of the back of the £5 note (personally I’m surprised that they didn’t ride the Thatcher wave but then again that would be pretty controversial). Whilst being the face of the £5 carries some cultural significance the main reason why it’s done is so that the Bank of England can update some of the security features of the £5. As they are more widely circulated compared to other notes they have their fair share of battering and bruising. I’ve even received notes that have actually been sellotaped together and some people have even asked to swap notes because the one I’ve just given them was too worn out. I received my first counterfeit when I was about 15 years old, it was quite late in the evening and the customer in question came in and asked for a can of coke. A perfectly innocent request. He then pulled out a £20. I understand that under some circumstances that can be normal when someone doesn’t have any loose change to hand, but where that happens you have to be cautious, and as I understood at the time this person was coming into the shop for the first time. I took the note and instantly knew something was wrong, it didn’t feel like a note. I went inside to tell my mum and said that it was a fake, checked it under the light and returned it to the customer and said we couldn’t accept the note because it was fake. There are two ways in which people can react to this: one is where you will go “really? Oh my goodness I can’t believe I was fooled, it had to be the guys from McDonalds”. The second is where you start to get angry, insist that the note is real and go “I just got it from the cash point just now, why would I lie?” If your reaction comes under the latter, the inclination for me would be to think that someone is intentionally using a counterfeit note to sneakily nab some real money off us. In this instance the man opted for the latter. What I would’ve done differently was to check the note in front of him as opposed to taking it inside and then coming out with the same note to avoid any suspicions that I may have swapped notes (which I haven’t and never will do). He demanded a refund for the chips (but from my dad’s account actually specifically demanded for the return of the £20 that his wife used to buy the bag of chips), he then accused my mum of being a liar, said that the shop was conning them out of money, demanded to see our CCTV footage and even threatened to call the police. He then left and said that he will bring the bag of chips back for a refund. He never came back. Customer Encounters #15 – Usual? I used to work for in Westminster and every week I would go into the Starbucks near the station and order a caramel macchiato. One day I went in, quickly popped into the loos, came out and decided to order something different until the guy behind the counter pulled out a cup and said “I just prepared your usual” (”ooooh the Starbucks guy fancies you!” Squealed my friend). Like every takeaway we have our regulars, and I’d say about 80% of the time they will order the same thing over and over again. Rob always orders a king prawn chow mein, chicken with cashew nuts and egg fried rice. Judy always has a king prawn curry with egg fried rice. Lucy always wants the special chow mein without beansprouts, green beans and pork and so on and so forth. The funny thing is that the “usual” orders I normally forget are from the people who expect you to remember what their usual is, and when I don’t remember it makes me feel awful, but at the same time you cannot help but feel somewhat irritated that they somehow feel special. “How dare you forget my usual? Don’t you know who I am?” their expression will read once they register the blank look on my face. It even happens over the phone, some people even get offended that I sometimes can’t remember their usual based on the sound of their voice. The only reason why I forget someone’s usual is because I see God knows how many faces at any one time in the takeaway that I often forget. The main reason really is the fact that I don’t work at the takeaway every day, only the weekends, and whenever a customer asks me for a usual it normally is because the days they normally come in are the days when I’m not actually there on shift. Last night we had a guy who came in, don’t know what his name is, but let’s just call him Ian for now. Ian had a worn out tracksuit with a baseball cap sporting a logo of some form, grey stubble and looked quite tired. He then realised he was confusing me for my mum who normally knows what Ian’s regular is. He then asked for my mum to serve him instead because she knows what he wants. I’m kinda stuck here because mum has her hands tied preparing the order of another customer, so I can’t exactly pull her away from the kitchen. But he was so adamant that my mum serve him that he wouldn’t even tell me what his regular was – which was spare ribs with sauce, two pancake rolls and king prawn on skewers, the latter item is something we don’t have on the menu. Another customer, also carried about him this air of self importance and “don’t you know who I am?”-ness. We’ll call him Keith. The first time I served Keith he did the same thing and assumed I knew what he was going to order the minute he walked into the door and spent a lot of time giving me a weird look when I didn’t know what his usual was. After a few minutes he eventually told me he wanted a spicy king prawn fried rice. He tossed a £5 note onto the table. I asked where the 50p was and he gave me a strange look and simply said he always paid £5 for his order. I went back in feeling slightly confused and discovered that my mum offered it to him for £5. She would just give him fewer prawns.